In this March 28, 2018, file photo, a North Atlantic right whale appears at the surface of Cape Cod bay off the coast of Plymouth, Mass. 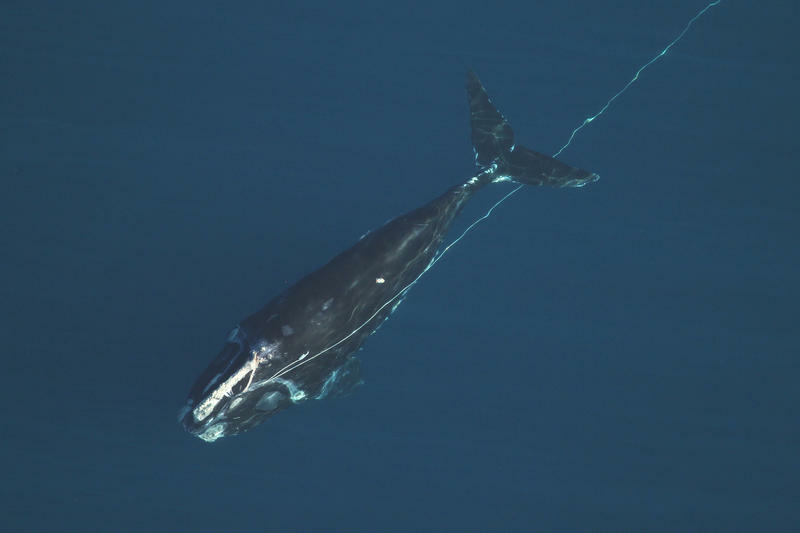 The Canadian government says it is taking steps to protect endangered North Atlantic right whales from encounters with fishing vessels and gear. The whales are one of the world's rarest marine mammals, and they have struggled with high mortality in recent years, especially in Canadian waters. Fisheries and Oceans Canada says it is enacting temporary fisheries closures in the Gulf of Saint Lawrence and off Quebec. U.S. and Canadian officials have debated the proper course for protecting right whales in recent months. U.S. Sen. Angus King, a Maine independent, says Canadian protections ``have got to work parallel'' to U.S. efforts. 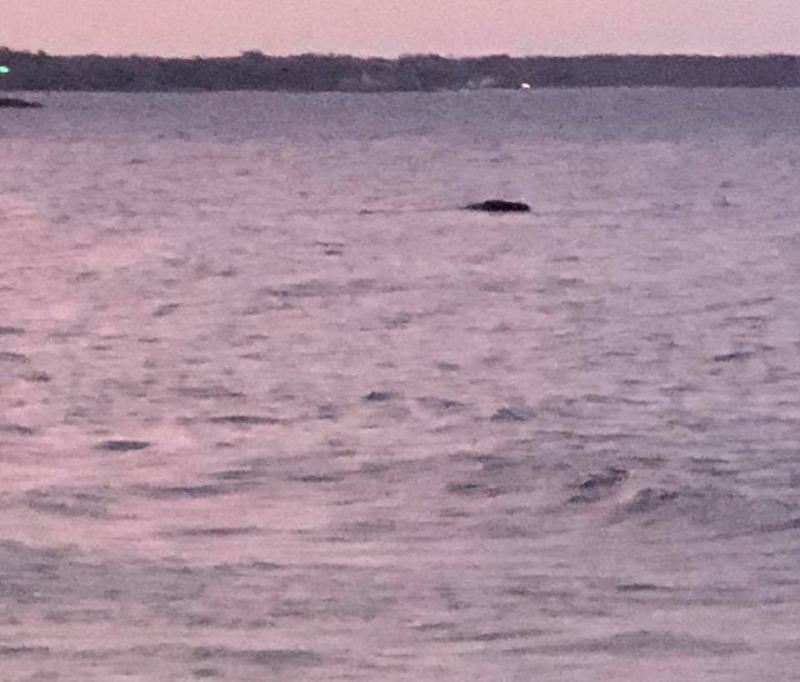 An endangered North Atlantic right whale has been swimming off the coast of York County — a rare sighting of the giant mammal at a time when its population may be headed toward extinction. The whale has been seen swimming — and spouting — off Cape Neddick, Ogunquit, and Wells over the past few days. 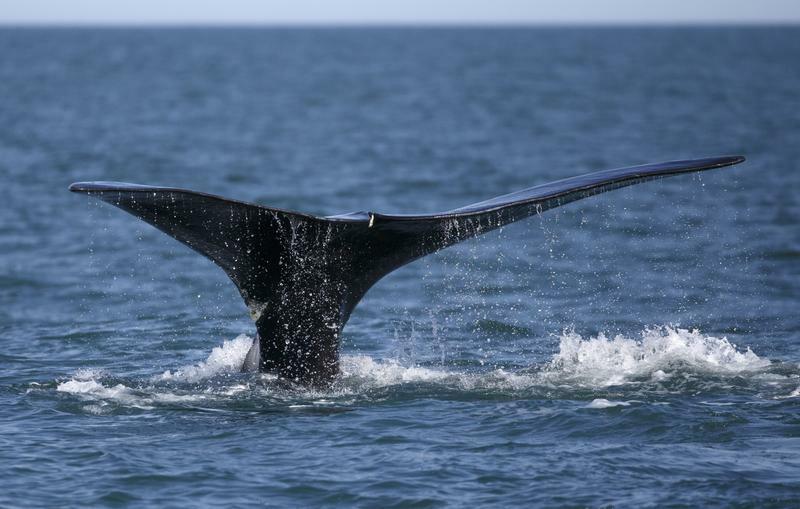 Tony LaCasse, a spokesman at the New England Aquarium, says right whales historically have spent time in the spring in eastern Cape Cod Bay, but this year have been showing up closer to the mainland shore — including in the Marblehead, Massachusetts, area.